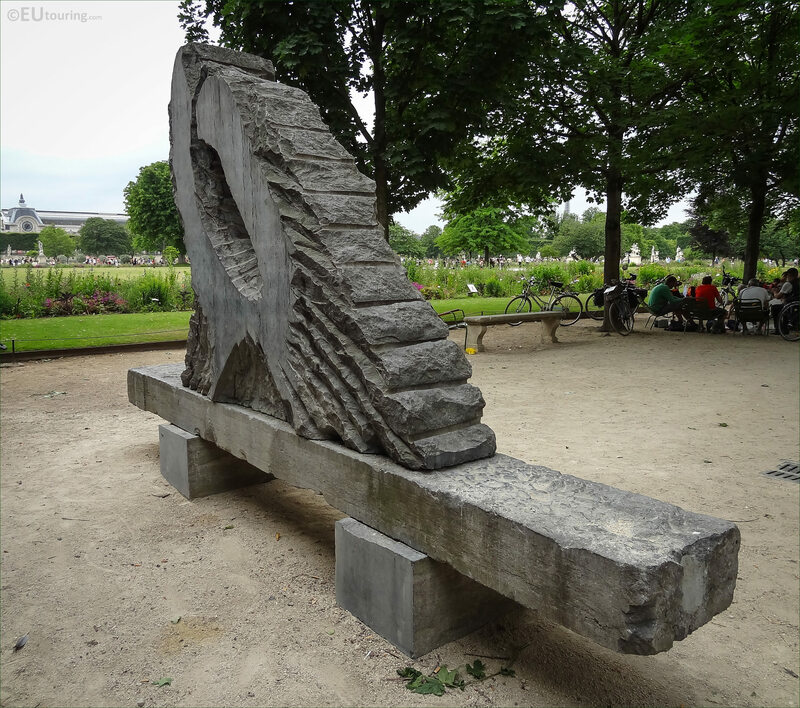 While we were in the 1st Arrondissement of Paris enjoying the Jardin des Tuileries, we took these high definition photos showing a sculpture called Force et Tendresse by Eugene Dodeigne. 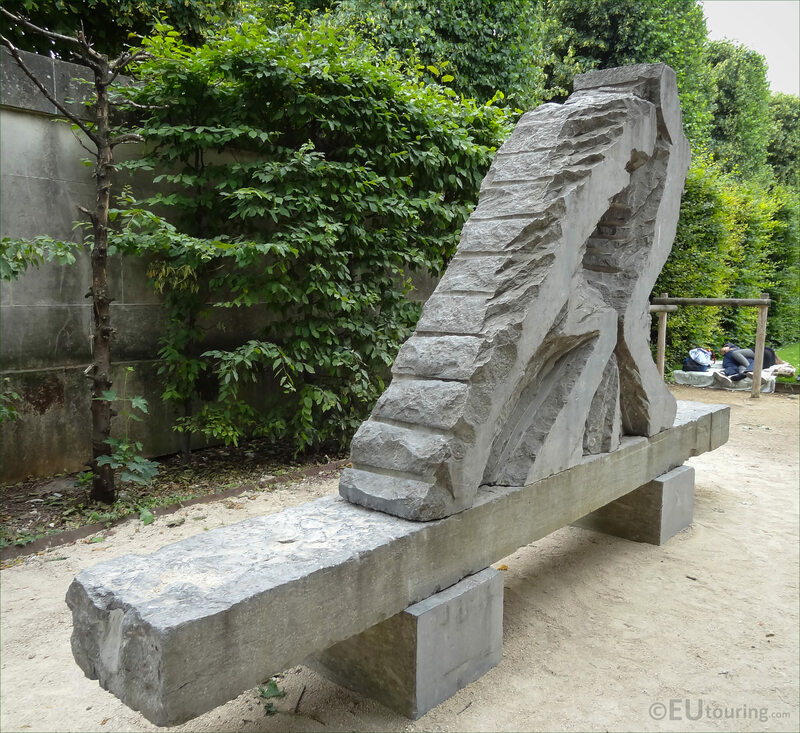 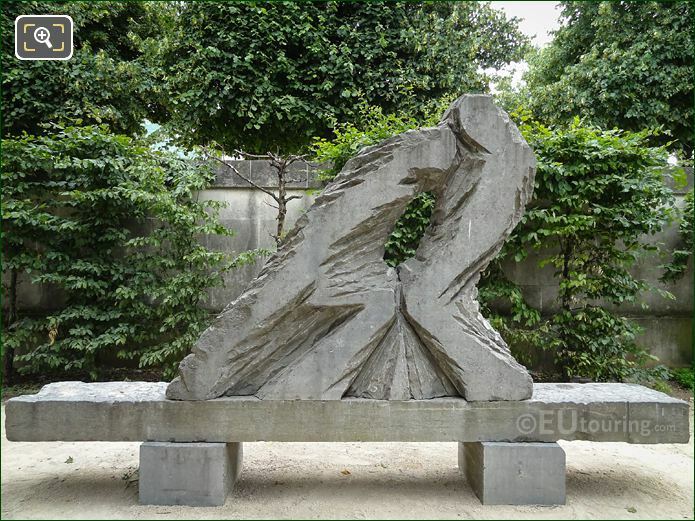 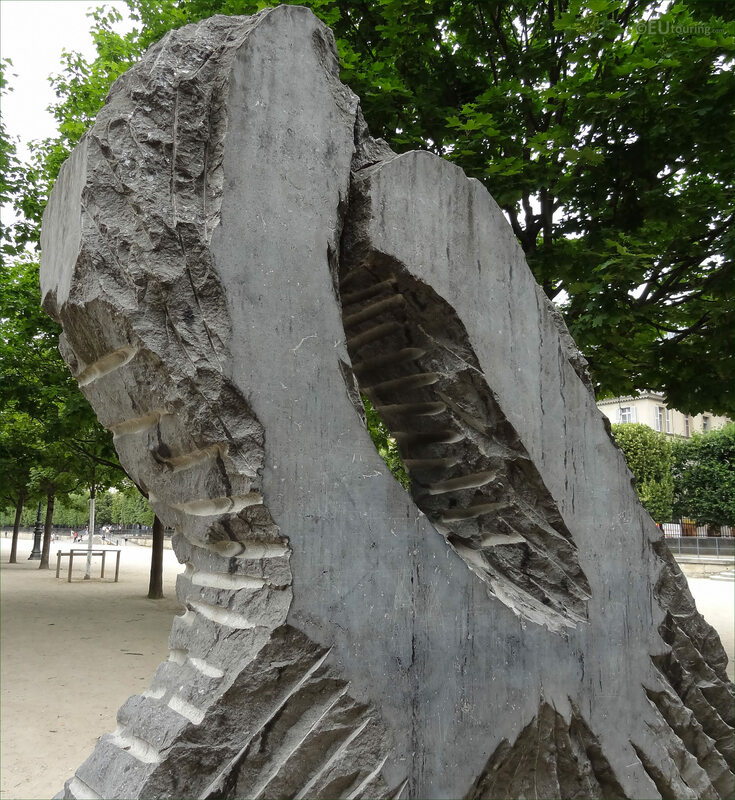 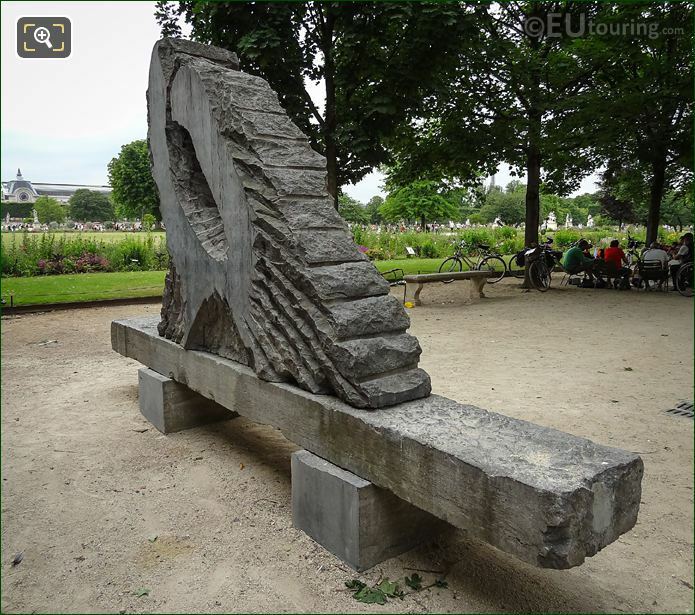 This first HD photo shows the modern art sculpture called Force et Tendresse, which in English translates to Strength and Tenderness, and made of stone, this was produced in 1999 and installed within the Tuileries Gardens in the year 2000. 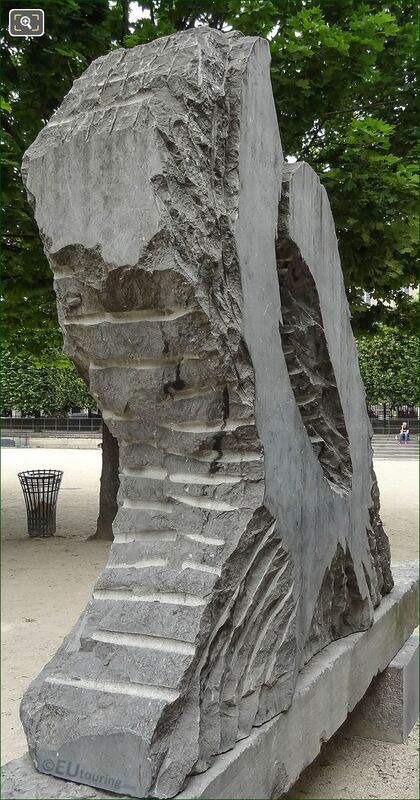 It was back in 1998 under the initiative of the French President, Jacques Chirac, that modern statues and sculptures were started to be added to the Jardin des Tuileries, which was followed by works from living artists in the year 2000, and three sculptures under a theme of Priere Toucher, or Please Touch were also added. So, the Force et Tendresse was one of the three Please Touch sculptures, which was by the artist Eugene Dodeigne, who was born in Belgium in 1923 and learning the trade of stone carving from his father prior to studying at the Ecole Nationale des Beaux Arts in Paris, he became a renowned sculptor who settled in the Nord-pas-de-Calais region of France, and became one of the living artists featured in the garden. 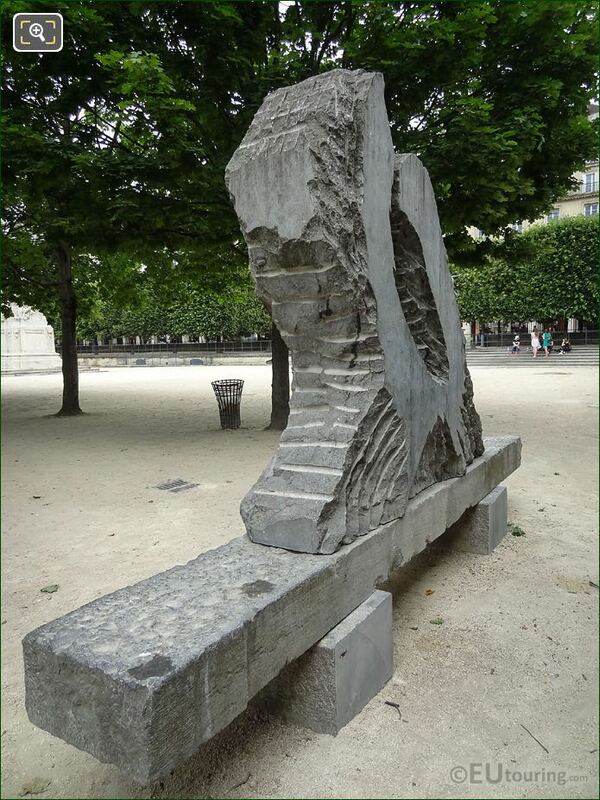 You will find that there are numerous stone sculptures by Euguene Dodeigne in many different countries after gaining international recognition back in the 1960s following his exhibitions at art galleries in places such as Brussels, Berlin, plus of course Paris, and although a featured living artist within the Tuileries Gardens at the time Strength and Tenderness was put in place, Dodeigne passed away in 2015. Now this next close up photo shows the bluish grey colour of the specific stone that Eugene Dodeigne utilised for his sculptures, called Soignies stone, which is named after the quarries in the Soignies area in Belgium that has been quarried for many centuries. So, this is an abstract modern art sculpture designed to depict two people, with the one you can see closest in the photo of this work being that of Tenderness, which is the taller of the two main stone elements. 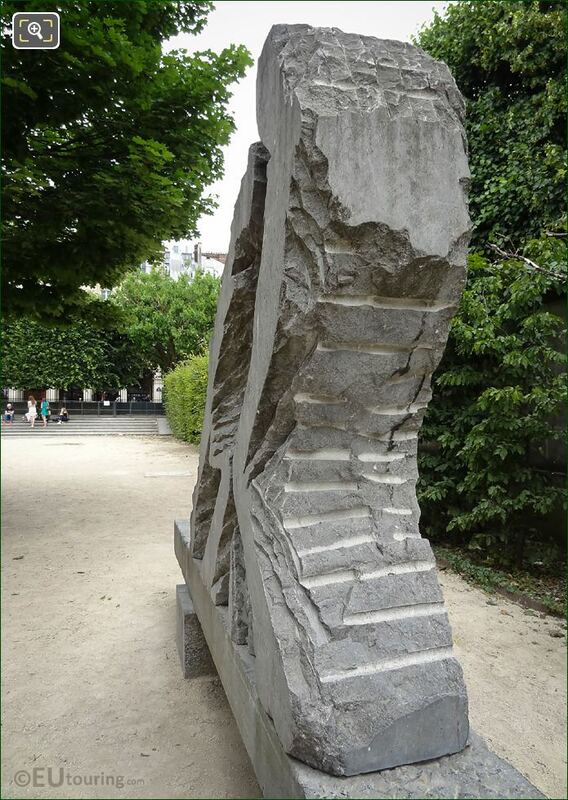 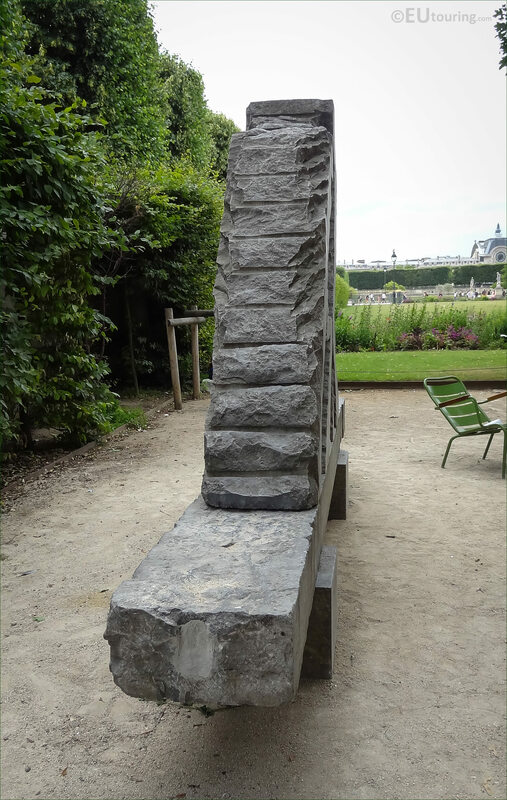 Whereas the section of the Force et Tendresse that you can see here carved out of Soignies stone is designed to depict Strength, or Force, and the idea of it positioned on a stone bench, was so that people or couples could sit either side if they had any tension between them. And this photograph shows a bit more of the rough carving, which was a style that Eugene Dodeigne utilised in many of his art works, which also often included abstract shapes that could be perceived as the form of the human body, although some of his compositions look more human than others. 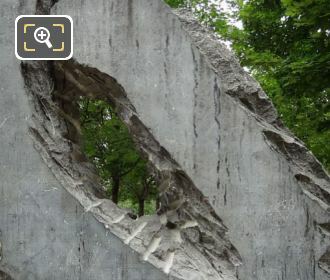 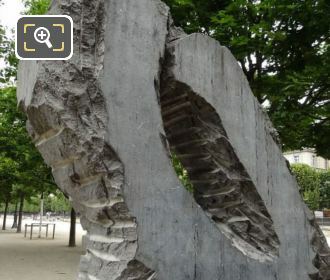 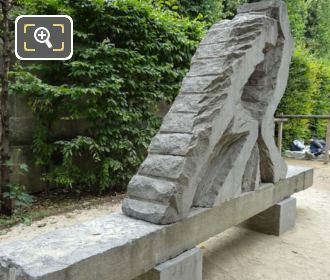 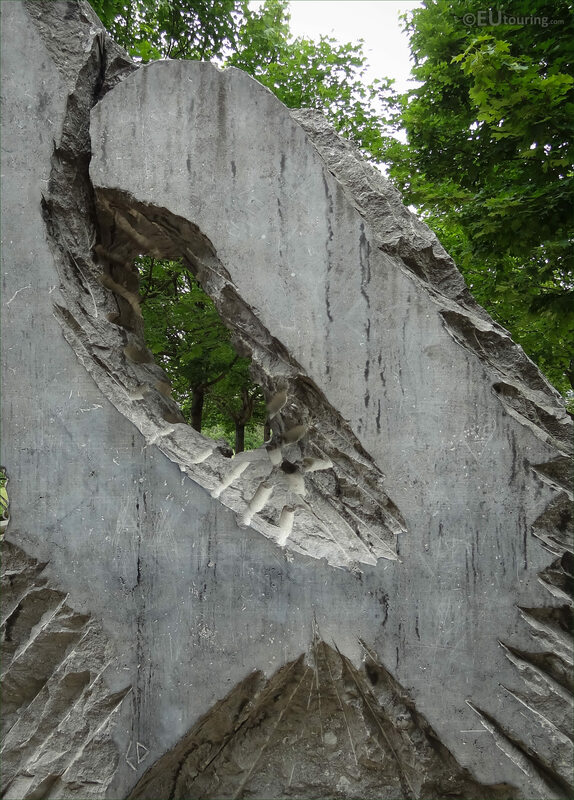 But here you can see another close up photo of the Force et Tendresse sculpture that we took as we were looking through the gap towards the trees located in the Grand Couvert area of the popular tourist attraction and historical garden of the Tuileries in the 1st Arrondissement of Paris.